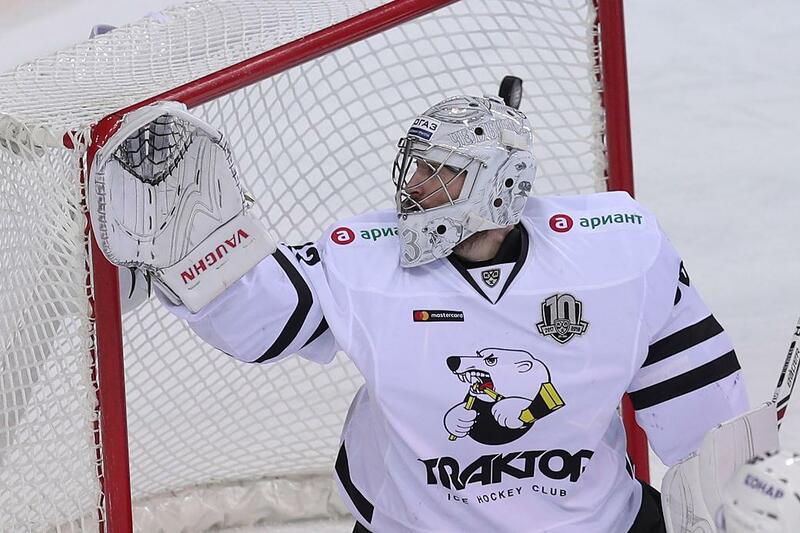 Traktor goaltender Pavel Francouz spoke to KHL.ru of the current optimism at the Chelyabinsk club, of the League's tenth anniversary season, and of the Czech Republic's prospects at the upcoming Olympics. With only two games remaining until the end of their regular season, and both these matches scheduled for after the break for the Olympics, the Traktor Chelyabinsk players are heading off on vacation. Playoff qualification is already assured, thanks to a healthy 90 points from 54 games, and the team occupies fifth spot in the Eastern Conference standings. There is still much to play for – a win in the next match at Avtomobilist would see them overtake the Yekaterinburg team and be in a strong position to secure fourth place, and the resulting home advantage in the Conference quarter-final series. 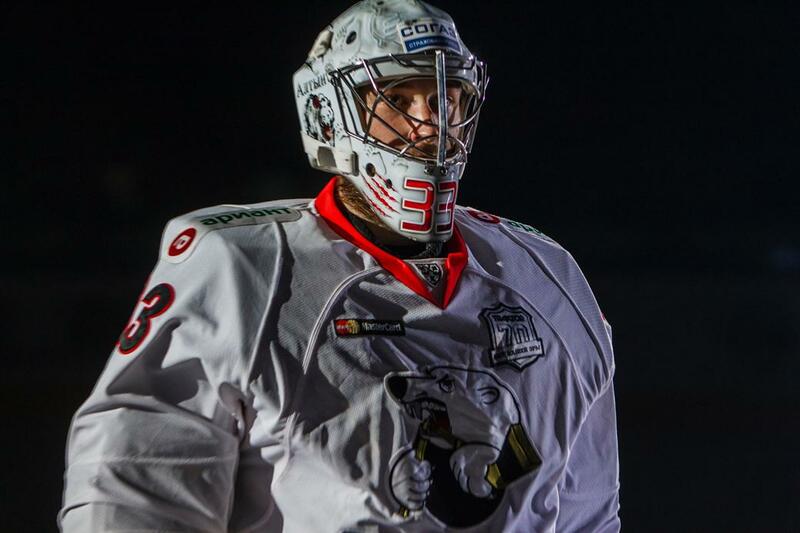 One of the undoubted factors behind Traktor Chelyabinsk's impressive form this season is 27-year-old Czech Republic international goaltender Pavel Francouz. He was named the best goalie in the KHL last week, an accolade he also merited last season (shortly before being selected as a KHL All-Star in his first full season), and Francouz currently sits proudly atop the League standings for save percentage with an impressive 94.5. - Last week was a very good one for you and for Traktor – three games, three wins, and only two goals allowed. - There's a feeling the team is playing at the optimum level. Last week was a very important episode in the season. We all worked very well together, and we got a positive result. - Is the team fully ready for the playoffs or are there still things on which you need to work? - We have just been discussing that! It is a bit of a shame that we are going into this long pause in the season, because we are playing really well right now. We'll keep working during the break and try to keep the momentum going for the playoffs. - Traktor had a faltering start to the campaign, but the team improved over the course of the season. - It happens, both in life and in hockey. If something doesn't work out, you just have to tackle it with even more determination. We all worked together, kept faith in each other and trusted the coaching staff. And I am very glad that we have finally started performing to the desired level. - What was the most difficult moment in the season for you so far? - I remember when we lost 3-5 to HC Sochi and then 0-3 to Neftekhimik. We had five losses in six matches. That was the most difficult spell, but we pushed back and began to play. - I remember you used to be plagued by injury. That seems to be behind you now, we hope, so what happended? Did you change something in training? - Those injuries were not systemic, so to speak. There was just a cluster of the kind of accidents and injuries you cannot avoid or plan for. - Traktor still has a chance of grabbing fourth place and thereby beginning the Conference quarter-final playoff series at home. Is that important, and has the team been set such a target? - For us it is extremely important because we have such awesome fans. They have filled the stadium for our recent matches, and yes, it would be very good if we could start the playoffs at home. - This season Traktor celebrates its 70th anniversary. - Obviously, I've been following all the jubilee events very closely. I know about the club's rich hockey history, and this season is a big celebration of that. It would be nice if we could achieve some success and so give an extra anniversary present to all the Traktor fans and veterans. - Which of the anniversary celebrations was the most memorable? - I have great memories of the match at New Year when our new mediacube was unveiled, and we marked the occasion with a 2-0 win over Dinamo Minsk. - Did you watch the All-Star Game? - Yes, I did. We were training a lot when the All-Star Weekend fwas on, and we saw much of it on TV in the locker room. I was very impressed by Nikita Gusev's shootout attempt, and it's great that it came off. - Your contract expires at the end of the season. Have you given much thought yet about where you will continue your career? - No, I'm not even thinking about it. I try to play as much and as hard as possible, and I put aside all thoughts about new contracts until after the season is over. Now I must concentrate on the Olympics Games and on Traktor's matches. - This is your third season in the KHL. How far would Traktor have to progress for you to regard it as a successful season? - Of course, it would be great to win the Gagarin Cup and become champions. This is the big dream we all share – players and fans alike. We will try to achieve that. - As you say, you are now entering the big pause in the season, but you will not be joining your team-mates and taking a vacation, as you have been selected for national team duty at the Olympics. Is it fair to say you expected the call-up? - I knew that I had a very strong chance, but I refused to believe it until it was officially confirmed. - This will be your first Olympics. Are you looking forward to it? - Very important event! It might turn out to be one of the finest moments in my hockey life. I am incredibly happy that I can go out there to play and defend the honor of my country. - While guarding the net for Traktor in the KHL, you have played against many of your team-mates from the Czech Republic Olympic roster. Which of the forwards do you regard as the most dangerous? - That would be (former Predators, Capitals, Coyotes and Avangard winger) Martin Erat! He has such a wealth of experience. - Your rival for the number one goaltender slot is Avangard's Dominik Furch. Have you ever met him while you were on national team duty? - We've known each other for many years, going back to our days together in the national U16 team in the Czech Republic, so we have spent lot of time on the same team. I think there is a rivalry between us, of course, but such competition is very healthy, and we both benefit. - How would you evaluate the Czech Republic's chances of success at the Olympics? - It's hard to say. No one knows what will happen in this tournament and how it will develop, so I will say nothing yet. But the games will be very even, given the absence of the NHL guys. And the Czech Republic definitely has a fighting chance.